Peter Bryer: Mobile Foresight: European debt crisis? What about the growing European mobile crisis? European debt crisis? What about the growing European mobile crisis? Don't get even, get angry (birds). And lots of them. On September 29, Nokia announced the planned closure of their handset factory in Cluj, Romania. Manufacturing would be moved to other Nokia plants, especially those in China. To me this site closure was the exclamation mark on the de-Europeanization of the mobile industry. It's headed West. It's headed East. But it's not staying in the middle. Back in the GSM heyday, in the mid-'90s, Europe became the center of the mobile world. Countries such as Sweden and Finland would brag of mobile penetration rates of greater than 25%, then 50% of the population. And development happened on the Continent. Handset vendors and component suppliers of all sorts would gather in cities in France and the Netherlands, and other reasonably nice places across Europe to work on and influence wireless standardization, and mingle with the big European vendors and operators. There was Nokia, Ericsson, Siemens, Philips, Alcatel. There was ETSI and GSM. Those were glorious days for Europe. It was the center of the new mobile world as Europeans looked with pity and scorn at the U.S., a country with networks that could barely handle text messaging at the time. The U.S was in the the mobile dark ages. I always liked to say, when it comes to mobile trends, Japanese teenagers do it first. But it truly happens big in Europe. Approximately 95% of handset industry profits are earned by vendors outside of Europe (using Q2 2011 numbers). Standardization efforts are shifting to organizations such as W3C and IETF, as services take center stage. About 95% of all handsets are manufactured outside of Europe. European consumers upgrade their handsets at a slower pace than consumers in the U.S. and most key Asian countries. America has become the center of mobile software and services. There's Android, there's iOS, there's Windows Phone and Facebook and Google and Foursquare. And not only does Asia have key handset vendors such as Samsung, HTC, LG, they also have the world's largest mobile manufacturing based out of China. There's Foxconn (a Taiwan-based company). There's Compal (a Taiwan-based company). To be fair and clear, there certainly are fantastic on-going European success stories: ARM comes to mind. [I could also add Opera, Spotify, and Skype here.] And Nokia is still the world's largest handset maker in pure volume terms. 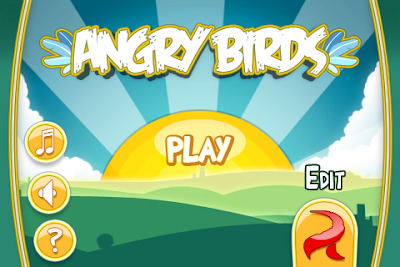 And of course there's Finland-based Rovio, the maker of "Angry Birds." But it will take a lot of angry birds to make up for lost opportunities. It seems that mobile development has flown the coop. Is the sun setting on mobile Europe? Yup. I wrote about it in february, with Elop's announcement (in Spanish, sorry http://blogs.lanacion.com.ar/movilandia/noticias/el-fin-de-la-aventura-europea-en-el-mundo-movil). Basically, we are now dealing with mobile computers, not mobile phones, and that realm is dominated by the US in software and hardware design, and Asia in hardware development and manufacturing. Sad thing, Europeans brought a different (and interesting) view on mobile that is diminishing (even though you'll find Europeans working for US and Asian firms, etc.). Still, the only ones that can change that are yourselves. As technology evolves, Apple et alii have little more to offer their customers. We saw the new Iphone, just some needed spec upgrades and some neat pretty stuff like Siri that I really can't see as more than some gimmick. Some people will love it, but it's not "revolutionary" to repeat the company's favorite word. It's still more revolutionary to have a calendar and a GPS at all when you previously had none, and to have all that "in the cloud". Speech interface is not so revolutionary. Iphone's new twitter integration is more revolutionary than Siri. So, there is little more they can do with that platform. On the other hand, there is still a huge potential out there to be explored in what Nokia calls the "next billion" consumers. Will Apple ever target that with cheaper iphones, or will they alwas prefer to keep to their higly lucrative "luxury" products? I think the war is far from over. It's a period of big transitions, but there is a lot that can happen, and happen very fast. The definition of a smartphone is not something that has come out of Silicon Valley. It came from key vendors and analysts from the late '90s or so: an open OS with APIs, perhaps multitasking. Some analysts (namely German-based GfK) insist that smartphones should have QWERTY or touch input. In fact, in most ways that I can think of, the smartphone definition came out of Europe. Losing the smartphone market is losing the cream of the market: higher ASPs, higher profits and the potential for on-going revenue streams. And the trend is clear that in pure volume terms, smartphones will take more than half the total handset market in the coming years. During Q2 2011, almost 1/3 of all handsets sold in the world were smartphones. A year before that it was 16%. And a year before that it was 15%. Some countries have already reached a smartphone penetration rate of around 50%. As the prices of smartphones drop to sub-$80, it will be difficult for feature-like phones to claim the market for connecting the next billion. This is already happening as low-cost, fully-capable Android smartphones are making waves in some MEA markets. I would also find it difficult to argue that losing a manufacturing base is ever a good thing (have you ben to Detroit lately?) unless those jobs are being replaced by equal or higher-paying jobs. But as I pointed out in the post, as revenues and profits aren't flowing into the European markets, chances are development won't fill the voids being created.